concise marketing and social campaign combined with strong Menu planning and kitchen management techniques. Their sales are currently up by 400%. And currently hold a 41/2 stars for food, service and price. Currently Chef Jorge consults in a marketing and media capacity. Jorge works with various clients that he has had a hand in servicing for several years. He is also working on creating a more diverse division that will focus on the IT and social markets that have huge growth potential for current and future clients. Superior quality Foods: Superior Touch Branding concept for both B to B and B to C audience. a) Better than Bouillon: Chef Jorge created successful strategic marketing plan was that included an advertising and PR campaign as support. The re-branded product was then produced for the consumer market. Chef Jorge brought this once unknown product to national prominence and now it can be found on most supermarket shelves throughout the country. b) Crockery gourmet: A superior touch brand that followed the same marketing model as BTB and with the help of Chef Jorge grew to national prominence so much so that it can be found on many market shelves today. Chef Jorge is currently focusing this product in a Business-to-Business campaign. Working with Art @ 5th alley this product has become so successful that we are now looking at both past and current consumer model concepts. Our team will take this new concept to the consumer as a branded national product in the near future. 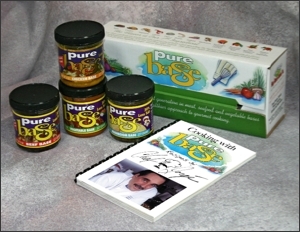 Chef Jorge knows how to get into the public eye and uses techniques such as being a celebrity chef, cooking on QVC, making personal appearances and publishing cook books in order to catapult his products to the top. These have been very successful avenues of market support used by Chef Jorge that educate the public on new products and services. By creating cookbooks and doing presentations on the television (QVC), radio, conventions, or public venues, Chef Jorge knows how to market products successfully at the national level. The Columbus Club hired Chef Jorge as a turn around expert and consultant because the organization was heavily in the red with out any strategic plans to create income. Chef Jorge brought in a vary concise marketing and management plan that created new services, which included menu planning, price control, full service options, up to date bar inventory, and community involvement. Within one year the facility was back in the black with two years of future sales already on contract. Chef Jorge created a catering company that supported the facility that in turn created a full service environment. Chef Jorge created a catering company as a marketing concept to help non profit facilities take advantage of there open schedules, when there halls and kitchens where not in use. This company created many successes, created services for as many as 500 guests per event, IE (Columbus Club, Saint Ambrose Church, etc), in a ten-year period and was eventually sold to its managers. Chef Jorge was responsible for all aspect of managing the facilities. As a general manager and consultant he insured great success during his tenure. Chef Jorge and Art @ 5th Alley are responsible for the establishments branding, product logos, strategy and full marketing concepts. 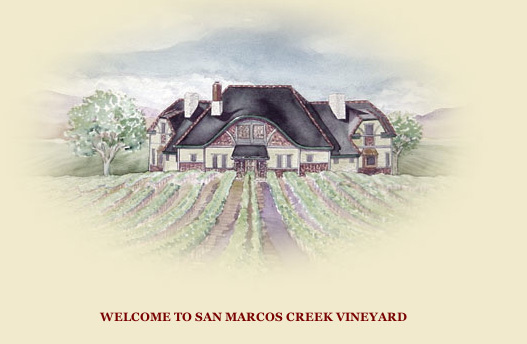 Chef helped create one of the leading vineyards and tasting rooms in Paso Robles Calif. Chef Jorge has worked with the owner in many other areas of promotion. This successful establishment is well worth the visit if ever in the area. Chef Jorge was hired as a celebrity chef author and consultant, to help kick off the concept of having all national celebrity chefs’ promote a grinder design that they felt comfortable promoting within their restaurant. Following a successful model in the music business, we applied the same strategy to the grinders. All their top chefs agree to showcase product in restaurants, promotions, advertisements, and television. They showcased the product as their personal Grinders available through Vic Firth Gourmet. The marketing model became a successful market campaign form the gourmet division that continues to date. Chef Jorge helped re-brand the company’s logos and packaging concepts. We also created a successful business-to-business campaign that was based on printed material supporting specific sales strategies. Chef also worked in creating a package and marketing concept for the smallest of carrots with no substantial target audience to sell at the time, Targeting children chef teamed up and created a lunch box filler with a healthy snack of carrots packaged with a dressing dip. The tag is “ Neat, Sweet, and Ready to Eat”! The product is currently marketed nationally with great success and with excellent price points. Chef Jorge has also been involved in the marketing of other types of businesses. Working as a consultant with Art @ 5th Alley with clients such as: Ontario Airport, Omnitrans, Reach out west end, Angles Soldiers and many others.